Tripura Congress has accused the ruling BJP of importing fake indelible ink and prosthetic fingers to register false votes in the upcoming polls for East Tripura (ST reserved) constituency. State Congress vice-president Tapas Dey Wednesday shot off a letter to the Chief Electoral Officer (CEO) Sriram Taranikanti in this regard. Dey wrote that as per reports of the party, BJP has imported fake indelible ink and prosthetic fingers in Tripura to engineer false voting during polls. 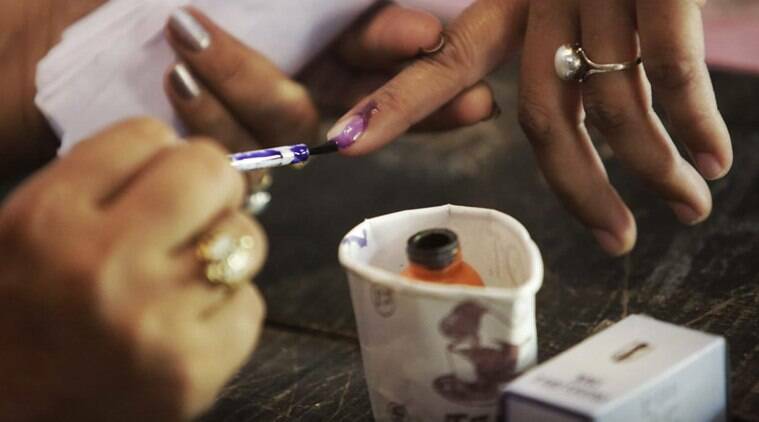 “We have got reports that fake indelible ink was used during the first phase of Lok Sabha elections in West Tripura constituency. Similar ink is likely to be used during polling in East Tripura seat. This will facilitate multiple false voting by similar persons,” his letter read. He added that his party has got reports of fake prosthetic fingers, identical to the real ones, being imported by BJP in Tripura. “The fingers are most likely to be used during poll hours in the second phase of Lok Sabha elections for East Tripura seat,” the letter further added. The fake finger alert was first sounded on social media earlier this month where voters expressed concern at the integrity of voting system in wake of such reports. However, it was later busted as ‘fake news’ and images used were reportedly sourced from Japan. The Congress party has, however, claimed that fake fingers and fake indelible ink were being imported in Tripura. The party has also reiterated its demand of identifying all 1,645 polling stations of East Tripura constituency as ‘sensitive’ and deploy Central Para Military Force (CPMF) personnel in each one of the booths. East Tripura constituency is spread across 30 assembly segments and six districts. As many as 12,61,861 electors are scheduled to vote in the constituency. They include 6,41,515 male; 6,20,342 female and four voters from the third gender. Though the seat was supposed to undergo polling on April 18, the Election Commission yesterday deferred the voting to April 23 on security grounds.